We specialize in a wide range of professional services: messenger/courier service, full time attorney service, including rush filings, summons and complaints with proof of service and subpoenas, air freight pick-up and delivery. *Please note that times quoted are for deliveries within a 15 mile radius of the pick-up point. All deliveries are dependent on weather and traffic conditions exisiting at that present time. 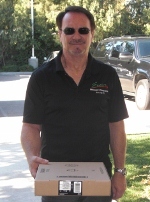 **Deliveries outside our normal operating hours can be arranged in advance and incur a higher charge. ***We accept Visa, Mastercard, American Express and Discover cards. 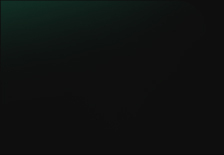 We are pleased to introduce ourselves, Encore Messenger/Attorney Service. Our service is both personalized, and is backed by over twenty eight years in the delivery field. 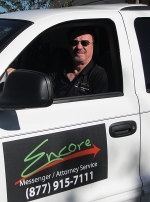 Peter Gal founded Encore Messenger/Attorney Service under the premise that former messenger and attorney services could not prodvide cost effective and reliable same day pick-up and delivery. We remain the standard by which professionals are measured. With each pick-up and delivery, our clients recognize our attention to detail and follow through. Building upon that strong foundation, Encore Messenger/Attorney Service continue to provide clients with peace of mind by hiring professional messengers. We have five dispatchers on duty, most of whom have been previous drivers so they are totally knowledgeable about the procedures, location and special circumstances for each delivery. Our drivers are ready to serve you. We have over sixty drivers to cover the entire Southern California. All are uniformed, have ID's, carry cell phones and are computer dispatched. With one goal in mind, ensuring your Company's success always comes first, we hope that you give us the opportunity to serve your messenger/attorney needs. In a world where sub standard service has become acceptable, tolerated and even expected, we provide what we believe to be the most sought after commodity today, "GREAT SERVICE".